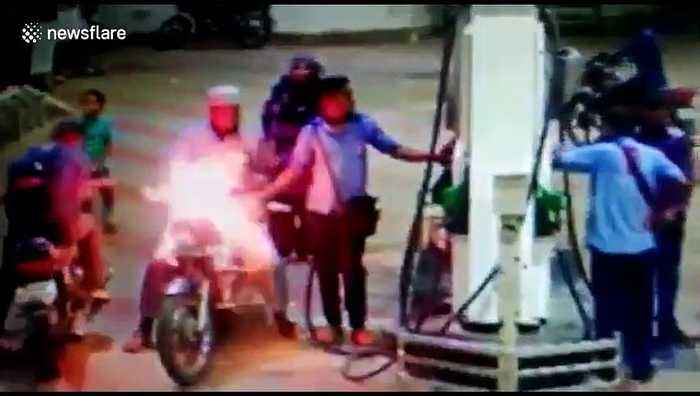 This is the moment a bike is seen bursting into flames as it is at a refuelling petrol station in western India Monday evening (April 15). 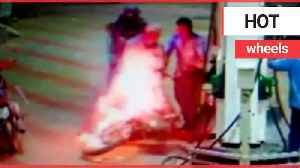 CCTV from around 7:49pm shows the horrific moment the entire bike suddenly catching fire as it is being refuelled at a fuel station in Anand, Gujarat state. The fire started as the biker got down from his bike and rapidly spread through the fuel nozzle towards the pump. The station employees immediately tried to drag the burning bike away from the pump. After moving it a short distance away, they scattered, until one frantically sprayed a fire extinguisher to put out all remaining flames. It is reported that the fire may have been caused by the keys being still in the ignition. Fortunately it appears no one was injured. 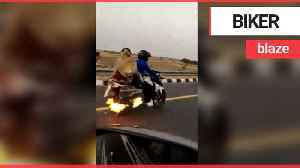 This shocking footage captures the moment a police saved a motorbike rider and his family as they drove down a highway - unaware that their bike was on FIRE. The biker was cruising down the three-line.. 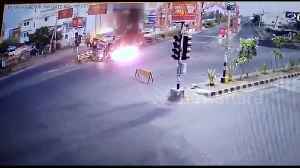 This is the terrifying moment a truck driver and his passenger ran for their lives when their vehicle caught fire after slamming into a traffic light. This is the horrific moment a speeding car in west India was seen flying off the road divider and flipping onto the other side of the road before bursting into flames. 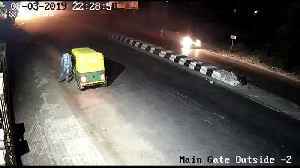 CCTV footage shows the exact..